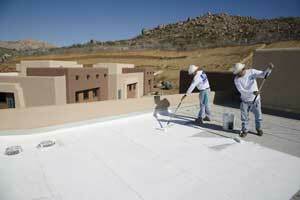 Roofs of all ages require proactive maintenance. The best preventative maintenance that one can do is performing semi-annual roof inspections to identify and solve problems as they occur. Roofs get more abuse from the elements than any other part of the building, and preventative maintenance is a key element to saving money on your roof by providing a longer service life. What is a Roof Management Program? A Roof Management Program consists of one or two inspections a year usually in the spring and in the fall performed by a trained roofing professional. How is a Roof Management Program going to benefit you as the building owner or property manager? You reduce the chance of consequential damage to both the interior of your building and your roofing system. You will be able to control your facilities budget for any future roofing expenses. You will reduce the chance of a roof leak(s). You will reduce the chance of a surprise major roof repair. You will extend the life expectancy of your roof. You are going to know what condition your roof is in. 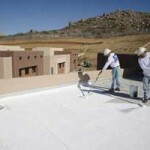 You will eliminate your maintenance responsibilities of your roof. You will optimize productivity in the workplace by reducing the chance of a leaking roof. You will improve the reliability of your roof. Effectively maintaining and repairing your facility’s roofing system, however, doesn’t have to be painful. Seasoned property managers and building owners know that the consistent maintenance and repair of the roofing system is paramount in maintaining and increasing the property’s value. A well timed roof replacement can spare you from wasting money on ineffective, short-term repairs. A trained Minnesota commercial roofing contractor watching your roof you will add years of service to your roof. An experienced Commercial Roofing Contractor understands that property management is an ongoing game of budgeting, prioritizing and re-prioritizing your facility’s repairs. Of these expenditures, you take no great pleasure in spending money on your commercial roof. Implementing a regular, periodic roof maintenance program is critical to validating the warranty, prolonging the life, and avoiding failure of a commercial roof. This entry was posted in Commercial Roofing MN, Condominium Roofing Contractor, Flat Roof MN, Townhome Roofing Contractor and tagged commercial roof management, commercial roofing mn, Minnesota commercial roofing contractor, minnesota townhouse and condominium roofing contractor, roof inspection, roof leak, roof maintenance. Bookmark the permalink.